I was praying in meditation today. It was a personal prayer. I went outside to breathe in some fresh air and this was my view from my front porch. I am so thankful and blessed with the people in my life. 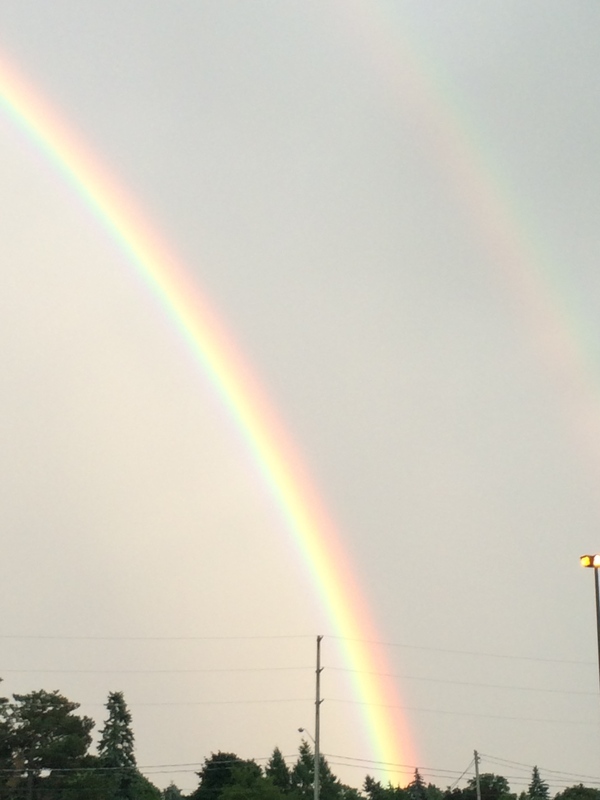 Since the time of Noah’s ark, rainbows have been symbolic of God’s promise of love, care, support, and protection. When you ask the angels for a sign and you see a rainbow, it signals that your entire situation is being taken care of by them. Albino rainbows, double rainbows, and moonbows (rainbows appearing at night under the moonlight) are all so unusual that they leave no doubt as to their significance. 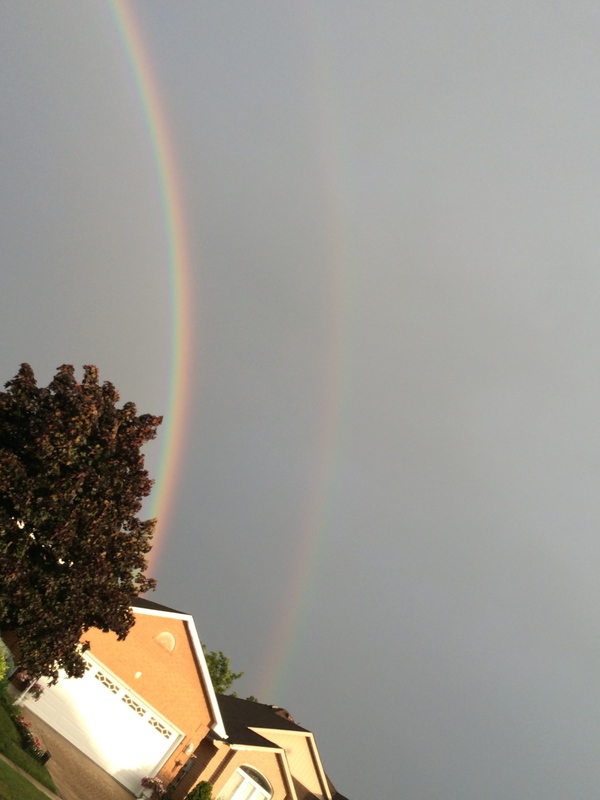 Rainbows are not only signs, but also gifts of encouragement and guidance from the other side.